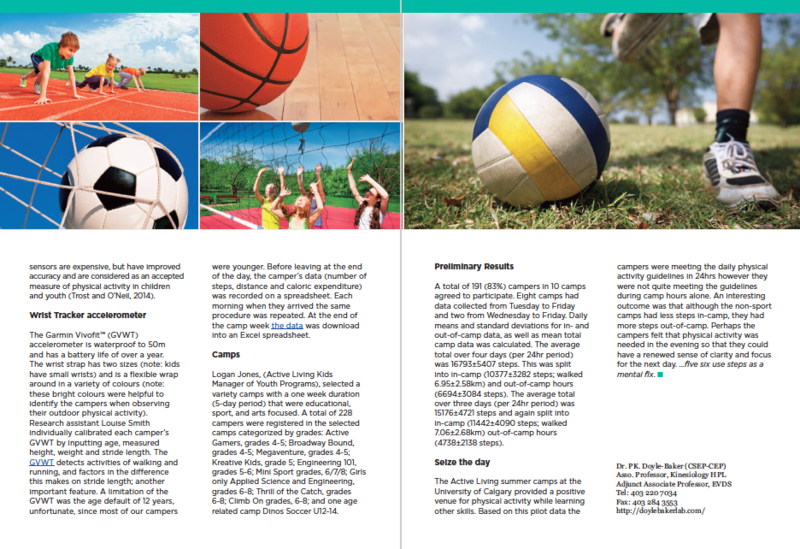 In 2015 we embarked on a pilot study investigating Kids Steps in the Summer (July and August) at University Camps (KISS UC). We are now in our 2nd year of data collection (summer 2016). 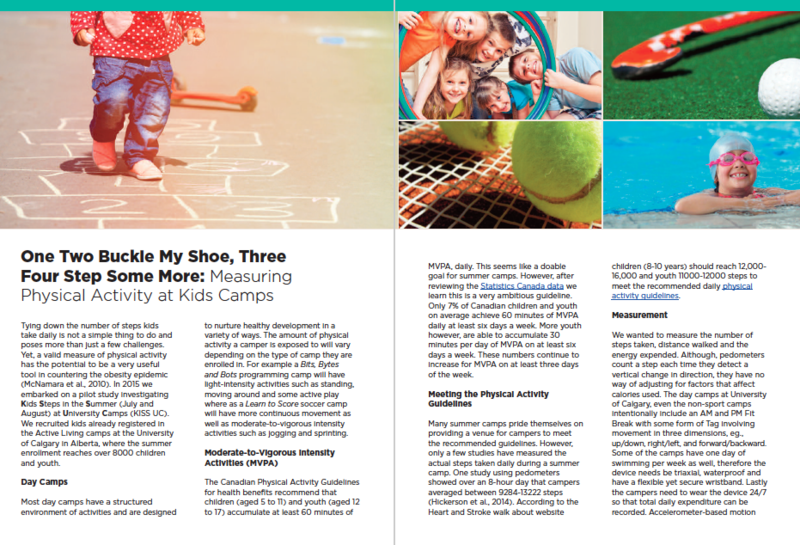 One Two Buckle My Shoe, Three Four Step Some More: Measuring Physical Activity at Camps for Kids.